This Warren, Vermont property is located in the Green Mountains, adjacent to the Sugarbush ski and golf resort. It offers country themed rooms, extensive gardens, a library and pool table. 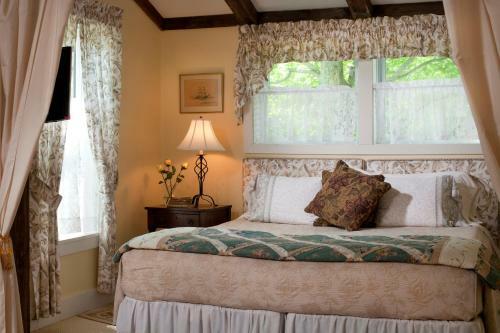 Located on a quiet country lane, set in beautiful gardens on the slopes of the Green Mountains of Vermont one mile from Sugarbush, at West Hill House B&B you will be treated as our personal guests, finding the features and amenities you would expect in a luxurious boutique Green Hotel. Come for your chosen summer or winter activity, or a wedding ceremony here at the West Hill House B&B or elsewhere in the area, a business retreat, or just to relax with your favorite companion! Visit our website or give us a call to check availability! Summer - not in the city! Spring ahead - time to breathe!